Suitable for multiple & mixed crops such as Cotton, Corn, Soybean, Groundnut, Sunflower, Sorghum, Wheat, Pulses, etc. Ease in adjusting different seed spacings & seed rate. Provides desired plant population. 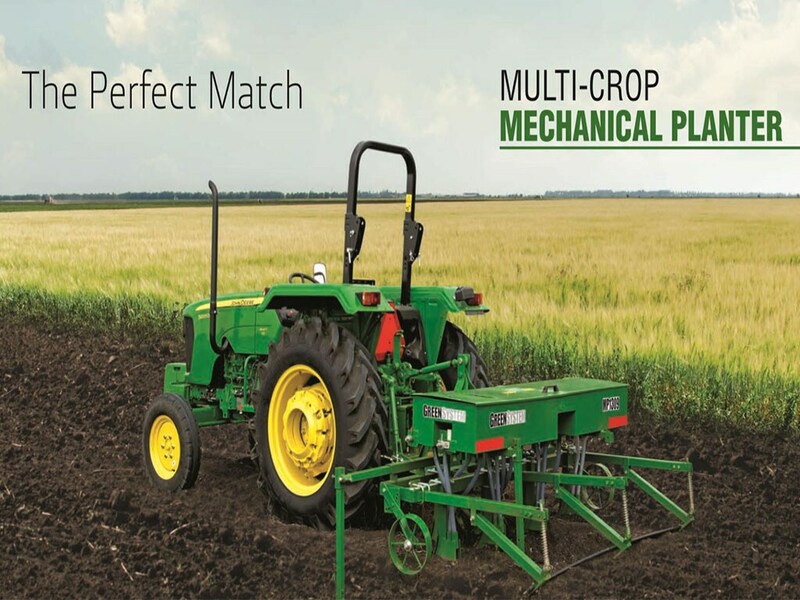 Maintains uniform depth of seeding according to soil moisture, provides machine stability. Helps to maintain uniform row spacing after every pass of planting. Ease in adjusting accurate row to row spacing. Helps in mechanization of inter-cultivation & harvesting. Low ground clearance. Saves time in seed-dropping, enhances accuracy in seed placement.